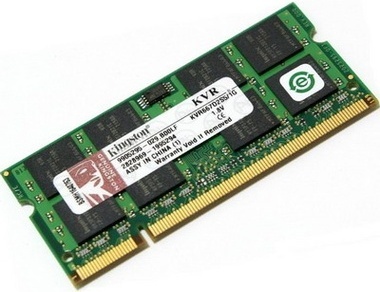 This document describes ValueRAM's 1G x 64-bit (8GB) DDR3-1600 CL11 SDRAM (Synchronous DRAM) 2Rx8, memory module, based on sixteen 512M x 8-bit FBGA components. The SPD is programmed to JEDEC standard latency DDR3-1600 timing of 11-11-11 at 1.5V. 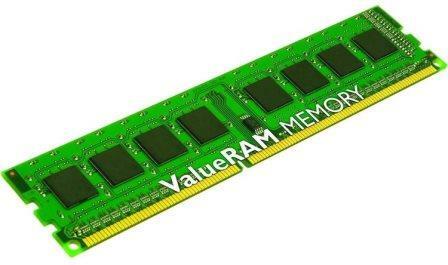 This 240-pin DIMM uses gold contact fingers. 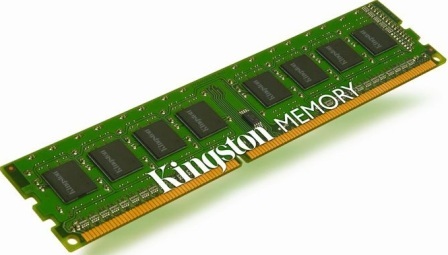 The Kingston 4GB KVR16N11S8/4 desktop memory module is rated at 1600MHz, and delivers up to 12.8GBps bandwidth per channel. You'll find it ideal for the evolving needs of today's operating systems and applications. Cas latency 11 ensures smooth system response. 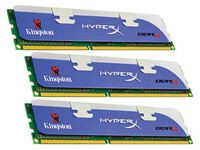 Kingston memory module is a great upgrade choice for your home and office computers. These high-quality line of 'by spec' generic memory designed with the price conscious system builder, assembler and white box markets in mind. ValueRAM is 100% tested both internally and through Advanced Validation Labs (AVL). AVL testing ensures all modules comply with JEDEC specifications. Kingston® proudly introduces HyperX® blu, a new line of reliable memory ideal for the entry level gamer or PC enthusiast. 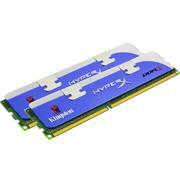 HyperX blu features a new streamlined clipless design. Its heatspreaders provide thermal performance at an improved price point. 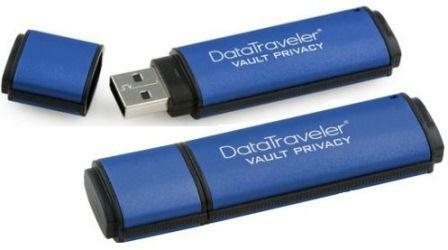 Kingston's family of convenient, compact and reliable DataTraveler USB Flash drives just got bigger with the addition of the DataTraveler 410 (DT410 with a capacity of 16GB, The DataTraveler 410 contains room for high-definition photos, graphics-intensive documents, videos, spreadsheets, presentations, term papers, and music that can be stored and retrieved in a flash. Password-protect data with SecureTraveler software, which allows you to create and access a password-protected, secure area of the drive called a "Privacy Zone." 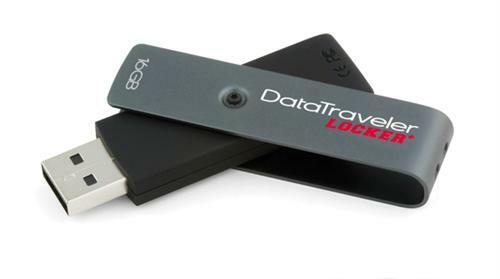 Capless Swivel Design With a capless swivel design that protects the USB connector, the Kingston DataTraveler 410 Flash Drive ensures you no trouble of losing the cap. 16GB Capacity A massive 16GB capacity allows more music, video or data files to be stored in a single flash drive – namely about 4000 music files (4mins, 128Kbps, MP3 format) or 4200 image files (8MP, JPEG format, about 3.9MB per file). High-speed USB 2.0 Interface The Kingston DataTraveler 410 features a Hi-Speed USB 2.0 interface for up to 480Mbps data transfer rate and plug-and-play connectivity. 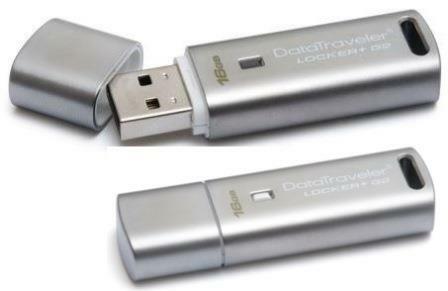 Now you can transfer your data quickly and safely with the Kingston DataTraveler 410 flash drive. With 8GB of storage, you'll be able to keep all of your most used data close by wherever you go. Sharing your data is quick and simple and you'll never wait long transferring files with a 15MB/s read and 6MB/s write speed. You'll also appreciate the SecureTraveler security software for Windows. Finally, the swivel design helps protect the USB connector, while eliminating plastic caps that might get lost. 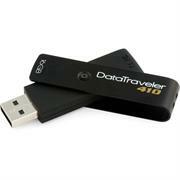 Add the DataTraveler 410 to your mobile life today! Capless Swivel Design With a design of capless swivel which protects USB connector, the Kingston DataTraveler 410 Flash Drive ensures you no trouble of losing the cap. 8GB Capacity A huge 8GB capacity allows more music, video or data files to be stored in a single flash drive – namely about 2000 music files (4mins, 128Kbps, MP3 format) or 2100 image files (8MP, JPEG format, about 3.9MB per file). High-speed USB 2.0 Interface The Hi-Speed USB 2.0 interface delivers fast data transfer rates of up to 480Mbps and enables plug-and-play connectivity for ultimate convenience. 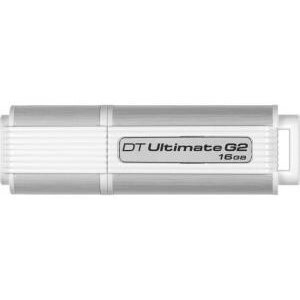 Enhanced for Windows ReadyBoost The Kingston DataTraveler 410 Flash Drive is specifically engineered to meet the performance requirements and capacity threshold for Windows ReadyBoost.